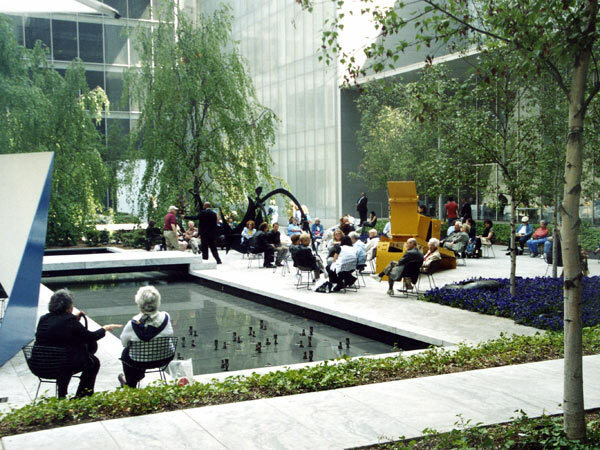 In 1953, architect Philip Johnson and landscape architect James Fanning designed a Modernist sculpture garden for the Museum of Modern Art in Midtown Manhattan, dedicated to patron Abby Aldrich Rockefeller. 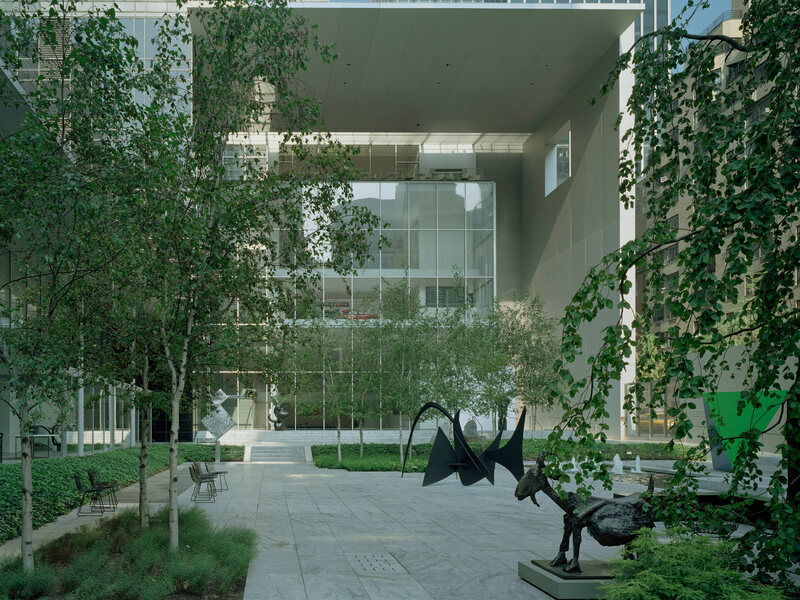 The rectangular, open-air courtyard was set on two levels and paved in long, rectilinear slabs of Vermont marble. 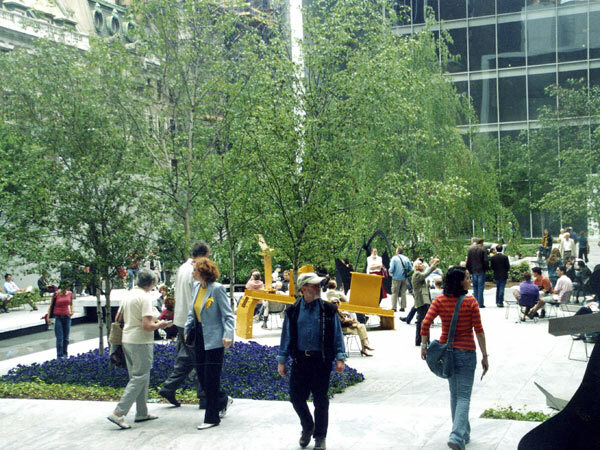 The western, upper platform comprised a dining terrace shaded by a line of eight hornbeams. 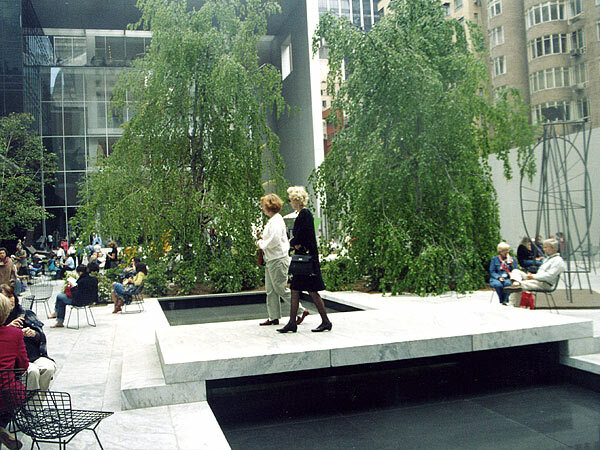 The lower terrace, sunken two-feet below grade, was incised by two water channels spanned by marble platforms and planted with cryptomeria and birch trees, which helped break up the space and control visibility of the sculpture placed throughout the garden. 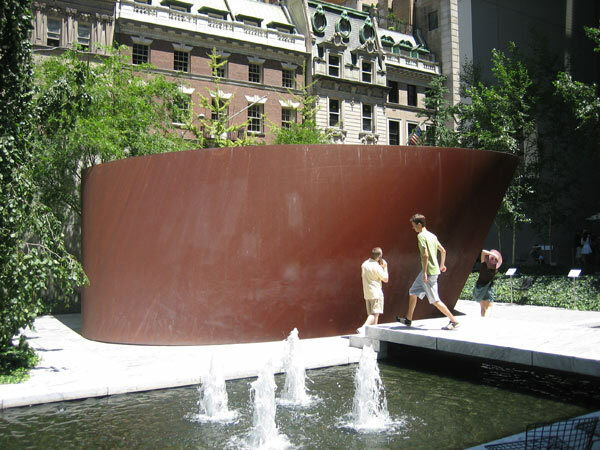 An 18-foot high, gray brick wall with climbing ivy formed the garden’s north edge, screening it from West 54th Street. Under Johnson’s aegis the garden was enlarged to the east in 1964, at which time landscape architects Zion & Breen unified the planting scheme by replacing the cryptomerias with weeping beeches and planting additional weeping birch trees to echo an existing cluster of trees in the west end. 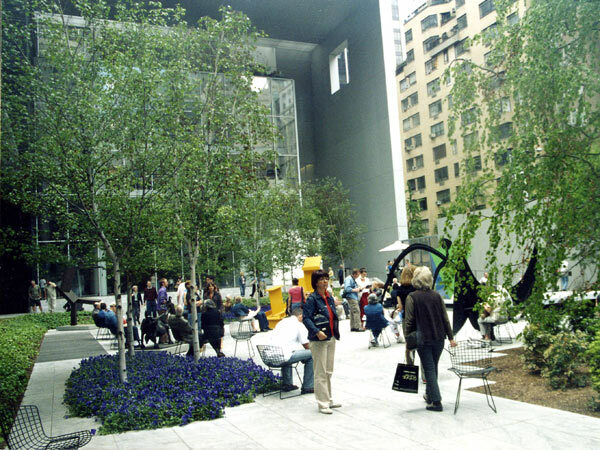 Following museum expansion between 2000 and 2004, the half-acre garden was recreated by Zion Breen & Richardson Associates. 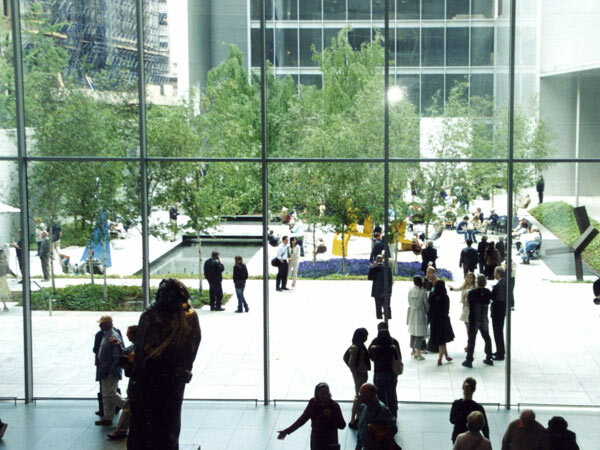 Johnson’s overall plan was restored, but with lighter-colored, Georgia marble paving and a 14-foot high aluminum screen in place of the brick north wall. 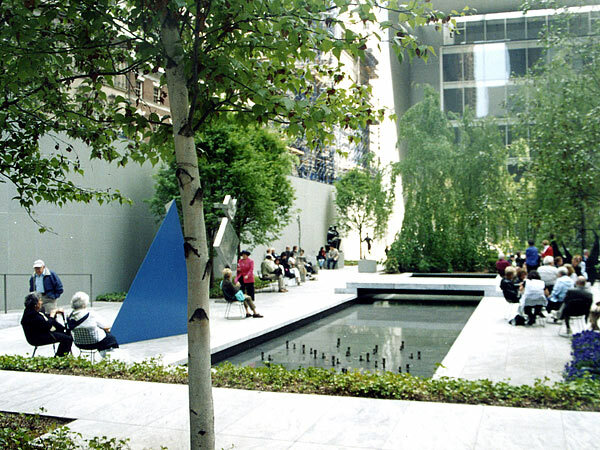 Now approached from the west, the garden is elevated on the three sides abutting museum buildings, while the centralized sunken space includes the water features, clusters of single-species trees, moveable chairs, and large pieces of modern art.